The first question is, do you get an album or not? For people who are scrapbookers, who think that they will be able to make their own album, or have a friend who is a graphic designer (or a photographer), this may seem like an attractive choice; and it may absolutely be the best fit for you. A big caution is that if you only have a disc of images, you don’t have anything tangible. Yes, you can print images from your disc, but you may never get around to it. And pros will have access to the best labs where your prints will be created on archival quality paper to last for generations. 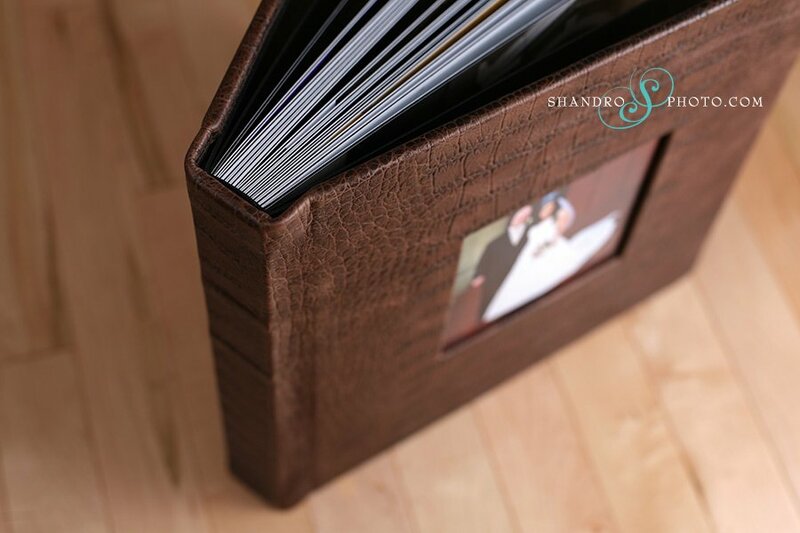 You may scrapbook or make your own wedding album, but there are even wedding photographers who haven’t been able to find the time to make albums from their own weddings, so make sure you actually have time to devote to a project of that size! Also, professional album companies only sell to professionals so you will be limited to consumer-grade books which are generally lower quality and not as durable. If this is not the best option for you, keep reading for some information about different types of albums. Please make sure that you understand what your photographer is giving you when they offer you a “proof” album. Proof albums will contain just that: proofs. Proofs are all of the final images from your wedding without editing/retouching, in a small format so that you can see and have a paper copy of all of the images on your disc. It may have the images numbers listed below each picture. Proof books may have a number of pictures printed on a paper page, or they may be the kind where you slip 4×6 prints into plastic sleeves. They are normally used for you to pick the final pictures you want to be edited and retouched in your final album. These are a more traditional style of album where archival quality photographs are hand-mounted into a book, and surrounded by a matte (similar to a picture frame where a thick paper matte frames a photograph). Modern album companies offer custom shaped mattes which give versatility to the album design. A difference from the flush-mount style is that the image cannot stretch directly to the edge of the page since there needs to be a matte around each image. These are generally the highest quality books. This style of album is digitally designed, and the final product is a hard cover book. Companies offer hand-stitched leather binding, metal, or wood covers. There is no matte around the photos, rather the photos are printed directly onto the page, which allow designs to go from edge-to-edge. The pages are usually thick (similar to the thickness of children’s books with cardboard pages, but with high quality photographic paper). The biggest thing to watch for with these is the center gutter – check to see if there is a break or gap in the photograph if it crosses two pages, or if photos can seamlessly go across the center to have one photo take up an entire 2-page spread. Your album may have more versatility of design if your photographer can design across the center gutter. Here’s a great article by a bride who was thrilled with her flush mount album. Press books are also digitally designed. Some are lay-flat (pages do just that, lay flat) like the coffee table books, others are not, and are similar to a novel where there is a deep join between pages, content can get lost in there if images cross the two pages. These albums have thin pages, using photographic paper. Often they have hard covers with photos that wrap around the whole cover, other companies offer materials like silks and suedes that can match the colours of your wedding. Some press books are soft cover as well. The quality of the images is generally quite high, but press books use different printing processes and equipment than the traditional and flush mount albums, and some would argue they have lower image quality. Photographers use different language when explaining their albums. Some photographers talk about pages, and some talk about sides, which are essentially the same thing. Think about a book. You open the front cover, and on the right hand side is page one. Some albums start on the left and some start on the right. Either way, pages/sides are counted as pages in a book. When you open your album to a particular page, the two pages you are viewing together make up a spread. Make sure you are clear about what your photographer offers and at what price. A 20 page album for $2000 is a lot different than a 20 spread album for $2000. Remember to check if your photographer charges per image or per page. Some even charge a flat fee for the album no matter how many pages or images it has. Books range from teeny tiny fit-in-your-purse size to hefty albums you can barely lift off your bookshelf, or even multi-volume sets. Decide on what will work best for your lifestyle. If you move a lot, or live in a small space, a lighter album will be a better option for you. If you want a durable heirloom, a large leather-bound album might be the best choice. 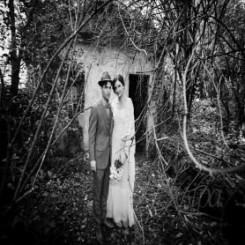 Every couple will find a photographer that will fit their personal style. Part of what will determine who you should choose for your photographer is the style of album that the photographer offers. Do you like the vintage look, a mix of black and white/colour, sloppy borders, random layouts, faded background photos, or clean and classic? Make sure to pick a photographer that fits well with your style. Keep in mind that this album will be a family heirloom for generations – ask yourself how, in 20 years, a particular trend or fad will look your album. Any professional wedding photographer should be able to show you multiple example albums, so be sure to look at their album designs closely to make sure they match your style. The design of the album is in the hands of the photographer, but ultimately it can be up to you. Check to see if your photographer wants you to choose all of the images for them, or if they will do a pre-design for you. If your photographer offers a pre-design, you may have final approval to swap or change photos, and it can save you a lot of time. If you choose all of the images yourself, you and your new spouse will both need to set aside time after the wedding to go through the images together and choose the ones you like best. This is a good choice if you know that you are (to put it bluntly) very picky and if you have a lot of time. Keep in mind that your photographer has a lot of album design experience that you can draw on when choosing the photos. Many album companies offer options for parent albums. For instance maybe you will have a large leather flush-mount album but you want smaller duplicate press books for your parents. 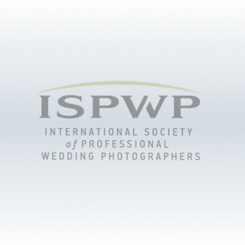 Ask your photographer what options they offer for parent albums. It’s a great gift to say thank you for their love, support, and guidance. And you won’t have to keep lending your album to your parents! Whatever the best choice is for you, make sure you are clear on all of the options your photographer offers and what will be included. I think albums are becoming an increasingly difficult sell – for good reason. The computer, software ect.. is making it easier than ever for a bride to go DIY – of course I’m not saying the quality will be the same in layouts and certainly the print difference from a professional lab over some place like shutterfly is HUGE – I think it’s important to note. We do a lot of albums each year. Brides still want a physical product for the most part. I think it’s important they have something tangible – in the era of Facebook and Instagram, it’s nice looking at printed work for a change. We don’t put large markups on albums like photographers did 10 years ago. It’s not big profit center for us. Savvy couples know how to use Google, do research, and shop around. That’s why we’ve developed such a one-of-a-kind album in an effort to produce a product that they themselves cannot. Most the album companies today will even do FREE album designs for the DIY bride. That’s tough to compete with if you are doing the traditional style album. As I’m writing this comment, I realize I should probably write an article about this on pabstphoto.com – I have a lot of thoughts bouncing around on the subject – it’d be nice to get them in order. In any event, cheers, this article is a good departure point for what can and cannot be done by a very price conscious couple. Excelente post. El albúm de bodas siempre será un recuerdo muy importante. Hi Kathy, you many want to contact the article’s author directly at info@shandrophoto.com. Have you talked to their photographer? Will he/she create the album for them? My son and daughter in law were married in Hawaii. They have a signed release for their photos. Could you do an album for them? If not where can I have one done? A few photos need things cut out like flower stands etc. Thanks for reading! 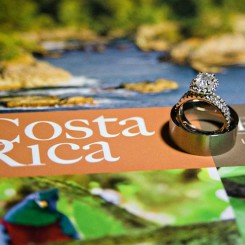 I appreciate all the comments, and sharing the information with your brides! Excellent article Haley – I hope you don’t mind if I repost this with credit as I think my clients will find it very useful – as did I !! Great post Shandro, very comprehensive & simply said. I will have to share this ;-) We, photographer, know the importance of professionally made albums and at the same time, as you said, for a new comers it’s sometimes difficult to understand why they couldn’t do it themselves as they are so many companies offering consumer range albums/coffee table book,…. It’s our responsability to inform (‘educate’) our clients of the vast range of products & the major difference between tailor made & DIY style so they get the best they wish to have for their budget. great article, albums are for the future generations to look back on. Images on a disc may never make it to the future. check our albums out, pure quality. Thanks do much to the ISPWP for publishing my article! We are very passionate about our albums.